Although fiction, this work shows the extent of anti-semitism outside Germany and at a slightly earlier date than the rise of Nazism. This is augmented by the psychological approach of the main character to the impact of that hatred and an attempt to come to terms with hatred. The conflict between idealism and pragmatism is the outstanding feature of the book. However,, this is not sustained throughout the work with some sections appearing, to me, as being somewhat unconnected with the main theme. As enduring a work of European modernism as Pessoa's Book of Disquiet and Kafka's Metamorphosis, 'For Two Thousand Years' is one of the greatest novels to appear on the modern classics list. 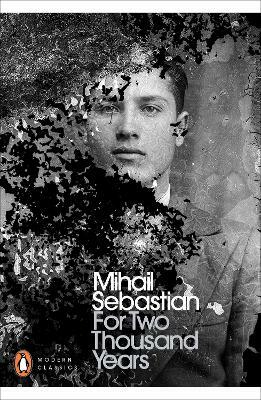 Reading Sebastian is one of the richest experiences a person can have. This novel had a huge effect on me and my life would be a lesser thing without it.